Since 1962 when we first started supplying spraying, dispensing, and packaging products, Delta Industries’ slogan and approach to business has always been “Always Innovating”. 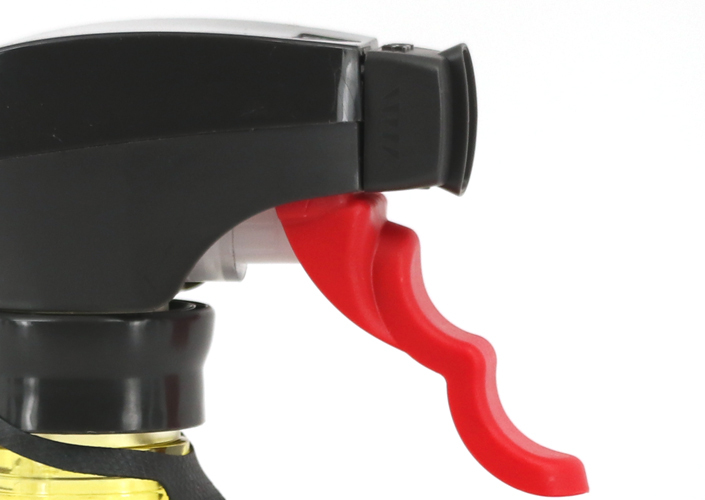 While others may have entered the spray bottle business, we remain America’s largest supplier of reusable trigger sprayers and bottles. Delta products have been providing dispensing solutions in various industries such as lawn & garden, hardware, personal care, automotive, industrial, janitorial, beauty & barber, food service, pest control, veterinary and misc. packaging for 50 years. The number of innovative products that we’ve created is extensive. Our reusable trigger spray bottles help reduce waste by causing fewer containers to go to landfills and incinerators. 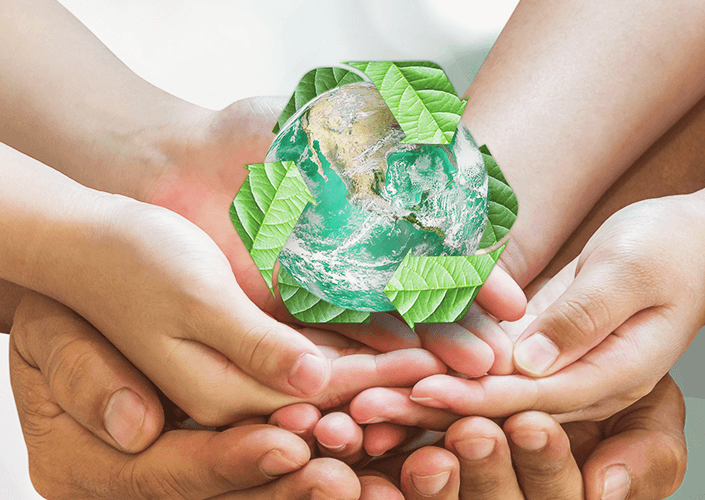 Many of our products consist of recyclable pieces. We even have several “green” products that are composed of 100% recyclable sprayers and bottles. Check out all our products to see which ones offer the best solutions to your dispensing and packaging needs and challenges. Delta will continually bring you new ideas and solutions to meet the challenges of your industry. Our sales representatives throughout North America are ready to assist you in sourcing products, solving problems and enhancing your bottom line. Silk Screening – This printing technique uses a stencil and mesh through which ink colors are transferred on to a bottle. Each color to be applied uses a separate mesh and requires a separate pass through the decorating machine and drying tunnel. Delta operates many Silk Screen production lines and this offers high quality, cost efficient decoration for smaller volume runs of a few hundred to thousands of bottles. Pressure Sensitive Labels – Pressure-sensitive or adhesive labels are versatile, offer beautiful graphics, and can be applied on a wide range of bottles. Generally this is an economical way to label. Delta operates several pressure sensitive decorating lines. Stretch Sleeve – Stretch labels are typically made of a highly elastic material with “memory” so the label can be pulled over the bottle. Stretch labels are cost effective in volumes of 10,000 or more and offer great graphics on a large billboard area to enhance your brand. Because no adhesives or heat are required to apply this type of label, it is well suited when formulas and bottle contents could be affected. Stretch sleeves are 100% recyclable, so they are a preferred choice when environmentally-friendly packaging is important. Shrink Sleeving – Shrink sleeves are among the most durable labels and they are optimal for bottles that encounter moisture or friction. The billboard coverage of shrink sleeves makes their full color, 360° design coverage an exceptionally powerful way to build your brand. Delta offers both steam and electric shrink sleeving production lines. These are generally used on runs of 5000 or more. Therimage / Heat Transfer Labeling – This process uses high quality full color process printed labels and applies labels to bottles using heat to transfer and set inks. Delta innovated a flameless heat transfer label technology that yields a more matte finish which is preferred by large retailers who use fluorescent lighting in their stores. This is a high speed process suitable for large volume production of 50,000 or more, and Delta has many Therimage production lines. Heat Seal Bagging lines package individual or multi-pack assembled products in clear or printed bags to your specifications. We work with you to devise the optimum combination of run size and packaging method to ensure the best cost for your needs. Delta will ship orders via UPS or Common Carrier. Delta Industries will choose the optimal shipping method if Delta pays the freight. Orders must consist of equal amounts of trigger sprayers and bottles or consist of more trigger sprayers than bottles. Orders that consist of only bottles are not eligible for prepaid freight. Does Delta have a minimum order threshold? Minimum order value is $500.00 in most cases. Choose the op A: Orders are shipped via UPS, or Common Carrier. Delta Industries will choose the optimal shipping method if Delta pays the freight. Yes, please contact Customer Service to request samples. We ship from multiple locations across North America. Our primary facilities are located in Allentown, PA and King of Prussia, PA. Please contact Delta Customer Service for Return Authorization. An RMA number must appear on shipping labels. Returns are subject to 15% restocking fee. Credits are issued for merchandise only. Product is guaranteed to be free of manufacturing defects. No warranty is offered regarding the merchantability of the goods or the fitness of the goods, either expressed or implied. Yes. Orders shipped outside the United States require Carrier information or a Stateside freight forwarder. Volume discounts are considered on an individual customer basis. Please contact Delta Customer Service for further information. We accept Purchase Orders from qualified accounts and extend credit based on your references and our credit checks. We also accept payment via wire transfer and credit cards, both of which also entail a small processing fee. How soon do you ship after receiving an order? Most orders ship within 3 business days for stock items. Make to order products or special order lead times will vary. Customer Service will provide lead times on these orders at the time of order confirmation. What if I can’t find answers to my questions here? Contact Customer Service between the hours of 7 a.m. EST and 3:30 p.m. EST. They will be able to answer any other questions you may have. What is the lead time on a private label bottle order? Four weeks after artwork is approved by the customer. How many colors can a private label have? Private label bottles can have multiple colors. Most customers achieve very effective graphics with one to three colors. We have several decoration techniques depending on the volume desired. Please call us to discuss your specific needs. Our in-house Graphics Designer can help you maximize the impact of your design. Are your trigger sprayers and/or bottles BPA free? Yes. The plastics of both our sprayers and bottles were not made using the Bisphenol A chemical. What is the minimum number of private label bottles I can order? There is no minimum run for private label bottles. However, there is a small order charge for orders less than 1,000 bottles of a particular size and artwork. Yes. Drop shipping to multiple locations can be arranged, and additional charges will apply. Delta Industries will prepay freight to one location in the Continental United States on all orders that meet minimum and consist either of Trigger Sprayers only, or when the number of Trigger Sprayers shipped is equal to or greater than the number of bottles shipped at the same time. All other orders are shipped Collect, Third Party Billed, or Prepaid and Add. Please see our Shipping Information page for breakdowns of minimums.